Apartment to rent in Mallorca. Villa to rent in Mallorca, Hotel stay in Mallorca? A belated happy new year to everyone! The seemingly never ending variations of turkey recipes are a distant memory. The last pine needles have been removed from the lounge carpet. The house is looking bare as the decorations have been stored away for another year. Here in Mallorca, the final pieces of turron have been divulged. The 3 Kings have delivered presents to the excited children and this week the towns across the Island were ablaze with the bonfires and devils of the San Antonio fiestas. Thoughts are now firmly turning to future holidays. There is such a choice of destinations to choose from. Where do you want to go this year and when? The island of Mallorca is one of Europes favourite holiday spots. A short flight, huge choice of departure airports, safe and familiar. Just a few of the reasons that people choose to visit Mallorca year after year. 300kms of stunning coastline, 300 sunny days a year, spectacular scenery of the Tramuntana and the opportunity to indulge your tastebuds with sumptuos local food and wine. Mallorca is certainly not only a top destination for beach lovers. Mallorca is a popular choice for short breaks, cultural visits, relaxation, cycling and musical events. Quiet an amazing offer for such a tiny island! Parasol Property Mallorca is delighted to be able offer accomodation to suit each and every one of these choices. I continously add new properties in new locations to the portfolio of properties. Each of these properties has been carefully inspected by me personally. Please ask as many questions as you need to ensure you choose the perfect holiday accomodation for you and your family. Privately owned villas with pool are a perfect choice for a family holiday or maybe to share with a group of friends. One bedroom villa, two bedroom villa, three bedroom villa, four bedroom villa or five bedroom villa. Luxury villa to rent, family villa to rent, large villa to rent, cozy villa to rent for 2. Think about what you require and take a look at the webpage. Perhaps you prefer to contact me directly for my personal recommendation. All our villas are privately owned and therefore beautifully furnished in unique styles. Some villas with pool are very close to the beach or a village so a car is not essential. All our villas are equipped to a high standard ensuring plenty of home comforts along with extra space to relax in. Barbecue sat on the terrace ensuring relaxed evenings in around the pool. Private catering can be arranged in the villa which is an interesting option for a special celebration. We do have a couple of beautiful villas/holiday homes without a pool too. Parasol Property Mallorca offers a selection of villas and holiday homes across Mallorca. Villa in Buger, villa in Calvia, villa in Campanet, villa in Camp de Mar, villa in Estellencs, villa in Inca, villa in Pollensa, villa in Puerto Pollensa. 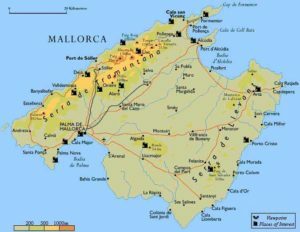 Due to the recent enforcement of Balearic tourist board leglislation there is a very restricted offer of apartments to rent in Mallorca during 2018. We hope that this situation may improve for 2019. Apartments are a great choice for couples or small families who enjoy the flexibility and extra space that an apartment offers. Having a fridge and basic cooking facilities is very convenient if you are travelling with a baby or anyone who has special dietary requirements. Most aparthotels offer bright modern facilities along with a community swimming pool and a 24hr reception for your convenience. Parasol Property Mallorca offer holiday apartments with a tourist license. Studio apartments, one bedroom apartment and two bedroom apartments are available. Holiday apartments in Puerto Pollensa, holiday apartments in Puerto Andratx, holiday apartments in Playa de Muro and holiday apartments in Puerto Alcudia. 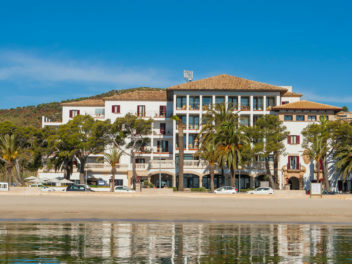 The standard of hotels on Mallorca increases each year with many hotels undergoing regular refurbishment and upgrades. Some hotels are adults only which is perfect choice for some clients. Modern rooms with comfortable large beds to ensure a good nights sleep, luxury bathrooms, facilities of safe, bathrobe, sat tv, wifi, mini-bar seem to be standard in Mallorca. 24hrs reception, comfortable lounge and bar area to meet people and of course a restaurant to enjoy a buffet breakfast or dinner. Hotels are more flexible than years ago and it is now possible to book just bed and breakfast allowing you to sample the great selection of local restaurants if you prefer. Parasol Property Mallorca offer 3, 4 and 5 star hotels in Puerto Pollensa, Puerto Andratx and just outside Deya. Remember Parasol Property Mallorca also offers long term rentals, property sales and property care.